Well, I must admit that I didn't pine over this decision nearly as much as I thought I would, but I've decided to gear the 750 specifically for the 1/8 mile. 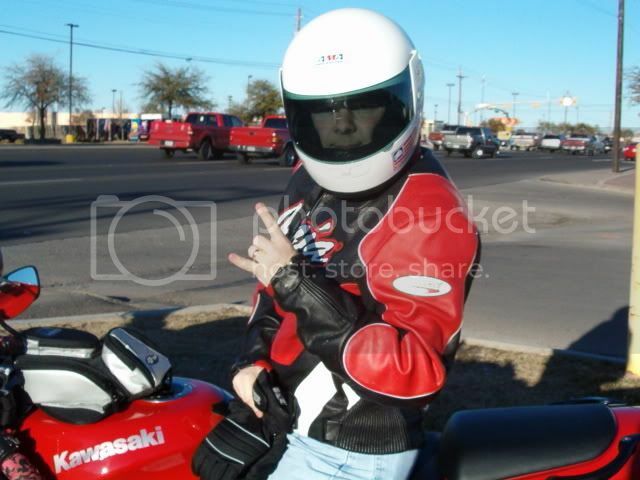 I've had so much fun at Desert Thunder Raceway over the last few weekends that I simply can't help myself. One of the many blessings of having two bikes is that you can set up one motorcycle in an outrageously high-rev configuration, while still having the other one suitably arranged for track days and road trips. To that end, I ordered myself a set of Renthal sprockets yesterday. 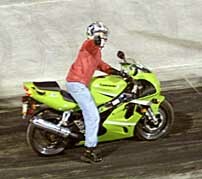 My goal is to have the ZX7R regeared and fueled with U4 by Saturday afternoon. If I'm in the low 7's thereafter, I'll be satisfied for a week or two. If I can put the Grean Meanie into the high 6's, all the better. My reaction times have been really good, ranging from a worst last weekend of .15 to a best of .02. It just seems a shame to get consistent holeshots, only to have a 7.75 or 7.80 ET. Lower gearing should do the trick. Thereafter, I might get myself a bigger set of carbs or (gasp!) a hotter set of cams. Details to come. Stay tuned. 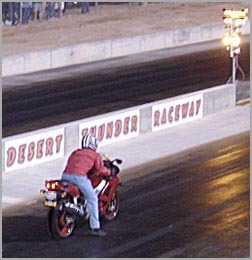 Last night marked the end of another excellent test-n-tune weekend at Midland's Desert Thunder Raceway. I ran my ZX7R on the Permian Basin's new 8th-mile track this weekend to compare it with my ZX6R, which I ran last weekend. At the end of the night, as I looked at my time slips in closer detail, several things surprised me about the way I currently have the 7R set up (namely in regard to its roadrace gearing). Firstly, the 7R -- with its smaller than usual 43-tooth rear sprocket -- runs virtually the same ETs as my 600, but at a slower speed. This tells me that a return to either stock gearing (or perhaps even a bigger than stock rear sprocket) would easily put me over the 100 mile-per-hour mark and drop me consistently into the low 7s. I haven't done the math yet, but I'd almost certainly wager that the somewhat portly 750 would also benefit greatly from a smaller crankshaft sprocket. This will likely be confirmed in a few weeks, because I'm ordering gears tomorrow. Secondly, the Dunlop D207 Sportmax tires on my 6R seem to be better suited to application on newer, untempered dragstrips than the Michelin Pilot Race H2s on my 7R. As strange as this may sound, I think the Sportmaxes actually hold their temperature better than the Michelins. I won't draw any final conclusions on that perception until there's more rubber on the track. It's getting there. The night was not without drama, unfortunately. We didn't get a picture of it, but a Pro Mod Class, blown alcohol car from Big Spring set a new track record of 4.92 just before its chutes failed, sending the fire-breathing monster completely through the gravel pit and into the outer perimeter fence at over 140 miles per hour. Luckily, the driver was okay, but the car was most certainly not. It took almost 30 minutes to get the car removed and repair the chainlink. So, another beautiful night of racing in West Texas goes into the history books. 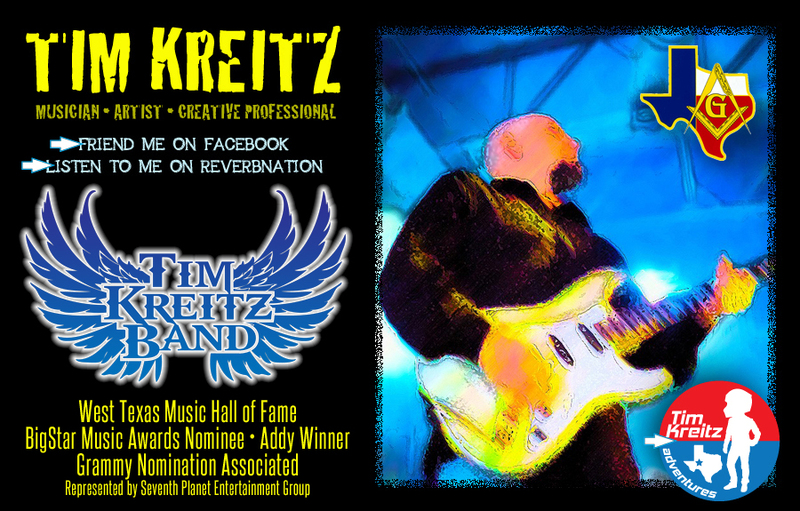 I won't be out next weekend, as my band Dingo Sanctuary is playing in Midland at our CD release Party. 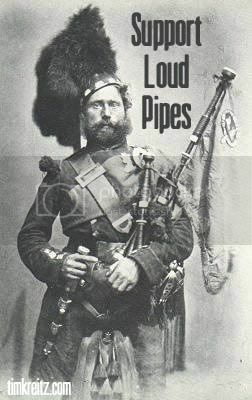 In the meantime I'll be regearing and probably rejetting for my next trip to DTR. 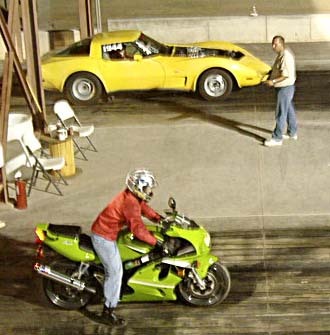 Tonight marked my inaugural racing experience at Midland's Desert Thunder Raceway, so I thought I’d offer up my initial impressions of the track to anyone whom has yet to enjoy the privilege of running in a test-n-tune session at the Permian Basin’s newest dragstrip. First of all, allow me express my general pleasure with the facilities as a whole. I just kind of ‘ended up’ there after riding around Midland for an hour or so tonight. I hadn’t really planned on going at all (much less racing). But once I pulled up to the gate, I figured ‘what the hell,’ and paid for a race number. As you may have gathered by now, I am very glad I did. As 8th-mile venues go, DTR has the potential to be one of the best in Texas, if not the country. After turning in my registration card to Rodger and Matt in the tower, I geared up and got in line for a pass. 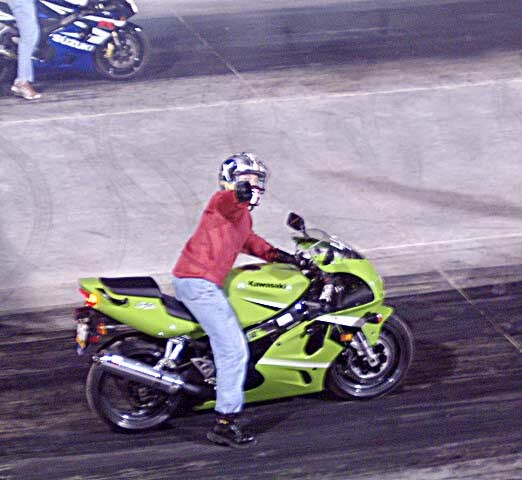 I was on my smaller bike (the red ZX6R pictured at right), and was anxious to test out the newly laid asphalt against my semi-race compound Dunlops. 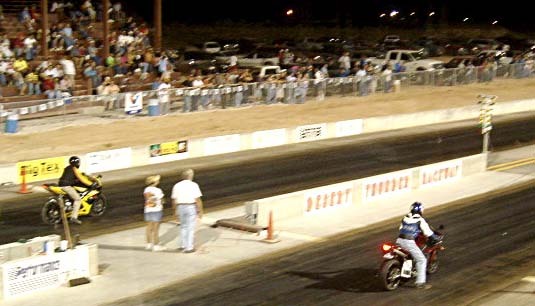 Aside from the fact that there is not yet enough rubber fused to the track surface to achieve optimal hook-up, a sportbiker couldn’t ask for a better dragstrip. 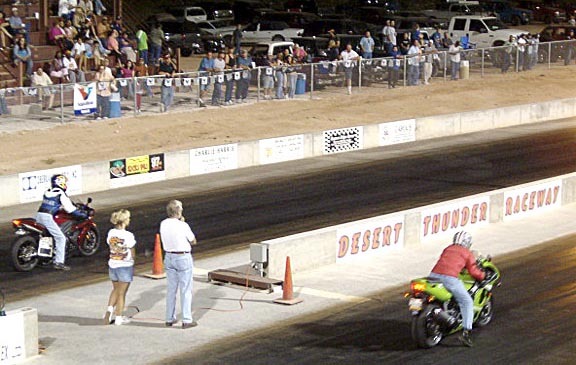 By this time next year (assuming the surface is well maintained), Desert Thunder Raceway will undoubtedly be one of the best-tempered, fastest short tracks in the southwest. The surface is smooth and sticky, flat and fast. In a word: Awesome. The nearby Penwell quarter-mile track is a pathetic, sorrowful volcano compared to DTR. The difference is literally like night and day. Make no mistake: From a competition standpoint, the Penwell guys are in big, big trouble if they don’t improve the quality of their facility. 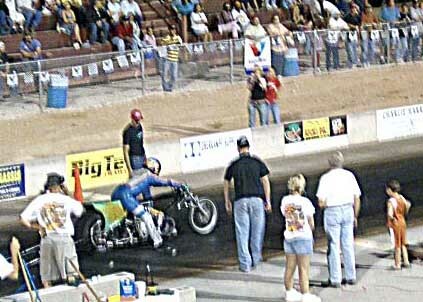 My best ET on my little 600 was a 7.810 at 97 mph. My best reaction time was a .06. My best 60-foot was a 1.96. Not bad for a mostly stock, six year-old bike in high-humidity. 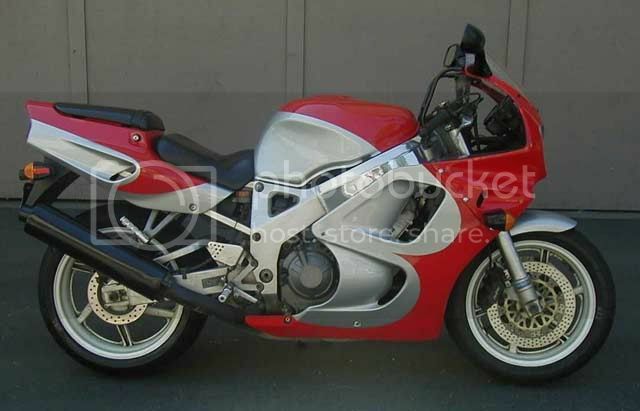 At my next opportunity, I’ll take my ZX7R to a DTR test-n-tune for some improved numbers. 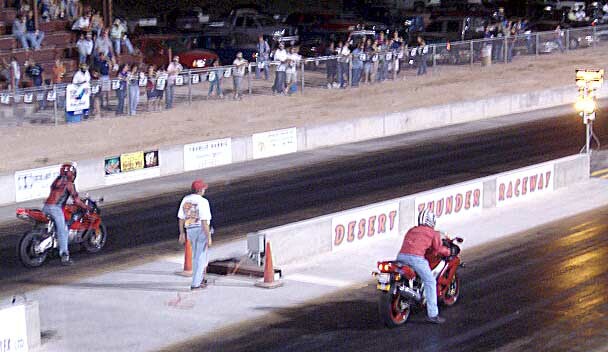 Until then, I urge everyone in the OSB (Odessa Sportbikes) community to support Desert Thunder Raceway. It is a true blessing to have such an excellent place for going fast, and right here in our own collective back yard to boot. Now all we need is a local roadcourse, and the Permian Basin sportbike scene will be darn-near perfect. See you at the track. It will come as no surprise to the regular readers of this blog that I didn't even bother to watch the final AMA Superbike event at Road Atlanta. I had no desire to watch Yoshimura Suzuki celebrate another inevitable championship win against the pathetically anemic grid that has, in recent years, come to represent AMA Superbike. According to various reports across the Internet, Mr. H and a counterpart Ducati test rider are currently making laps at Mugello on Dunlop rubber. There is no rest for the weary, I suppose. But the fact that Hodgson and the Italians are wasting no time in getting ready for next year's American series is proof-positive that they are dedicated to improving their record stateside. I wish them all the luck in the world. At first, I wasn't sure about how I'd feel concerning Eric Bostrom's obvious departure from the A.D. team. 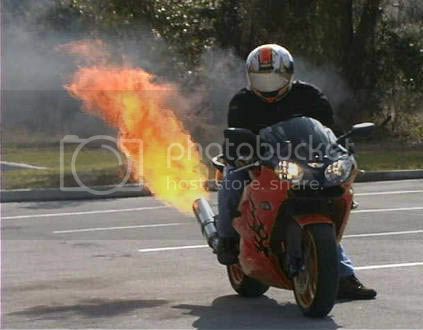 However, upon further contemplation, I have concluded that moving on is probably in Eric's (and Ducati's) best interest. The simple reality is that Eric isn't very good on Italian iron, and he knows it. Hell, we all know it. After two seasons of almost constant struggle, I think EBoz would be better served by finding a 4-cylinder mount. There are a lot of rumors being circulated that Bostrom will ride a Factory R1 next year as Yamaha returns to superbike with a revamped bike. I would love to see that. Let's keep our fingers crossed. Several of the major Moto sites reported on Mladin and Schwantz's recent visit to Loudon, the worst excuse for a motorcycle roadracing venue that anyone ever thought of. The skinny was that the two Suzuki ambassadors went there to consider whether or not the track is in an acceptable configuration for an AMA return. Luckily and thankfully, they reportedly said "no way" after an extended tour. Good news, says I. Loudon is a disgrace and the AMA should never place its riders in the kind of unreasonable danger the track personifies.